Is man selfish to romantic for proposing to girlfriend during marathon? 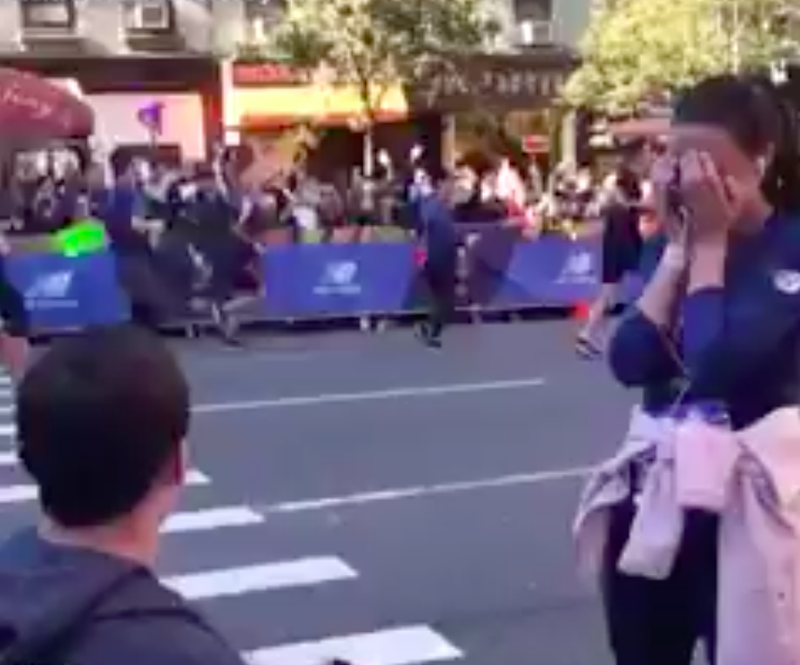 Is this man selfish or romantic for proposing to girlfriend during marathon? It seems like a very sweet idea to her boyfriend but social media users think otherwise! A man proposed to his girlfriend during a marathon. She still had a few kilometers to go when he popped the question. Dennis Galvin went down on one knee to propose to his long-time girlfriend, Kaitlyn Curran at the New York City Marathon. There’s no doubt about her love and she immediately said yes but people judged the man for stopping his girlfriend midway during her race and feels that he could have waited. Martin Bester disagrees. Listen below. She ended the race with a medal around her neck, finishing one of the most prestigious marathons in the world as well as a ring! Many people had something to say. A Twitter user said, "If he really loved her, he would've waited until after the race, given her a massage, taken her to a nice dinner, left her alone all night so she could have a nice long rest, woke her up the next morning with homemade waffles and strawberries, then asked her to marry him. Geez." Do you think he could have waited until she finishes to pop the question? Is it romantic or selfish? Let Martin Bester in the comment section below.